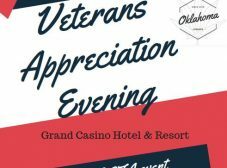 Join us for a night where we celebrate our veterans and give away (2) Two free physician recommendation consultations! 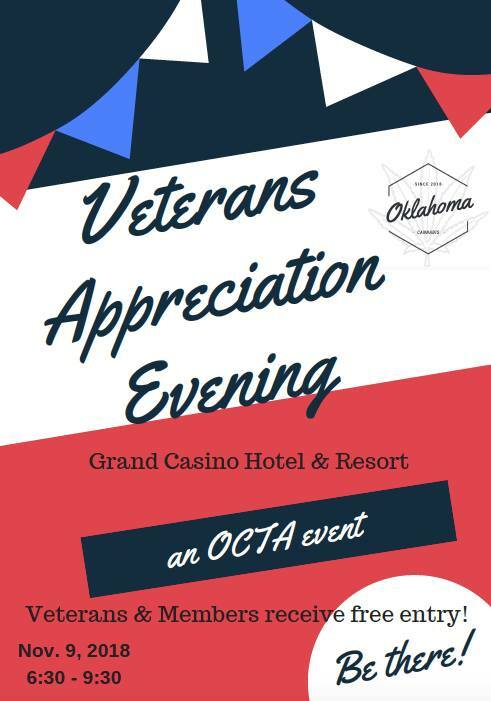 For Vendor table info please contact info@okcannabistrade.com to get your spot! For room bookings: Ask for the “Ok Cannabis Trade Association” rate to receive their discounted room rate when they call the hotel to make reservations. Error: Error validating access token: Session has expired on Friday, 19-Apr-19 10:36:26 PDT. The current time is Thursday, 25-Apr-19 01:48:15 PDT.